This demographic is not between far and few. Cognisant, the Singapore Government has launched Tech Connect. This is a new initiative to provide dedicated one-on-one tech assistance to individuals who may require help with their digital devices and services. Minister for Communications and Information, Mr S Isawaran, launched Tech Connect at the Digital Carnival @ West Coast. The slew of technologies which constantly being pushed out have a myriad of benefits which anyone regardless of age can enjoy. Unfortunately, not everyone is confident in using the technology. This could be an issue of a lack of trust in the technology, or simply the lack of knowledge to fully embrace what the technology can offer. If our society is becoming increasingly digital, then in tandem, a base level of tech-savviness must be instated. “We want to recognise that not everyone shares the same starting point, and we want to bring everyone up to speed so that, for example, you are able to watch Channel 8’s broadcast of the SPOP Grand Finals on Toggle, use e-Payment to order chicken rice at the hawker centre, and to log on to participate in the latest season of the National Steps Challenge. This is where Tech Connect comes in. 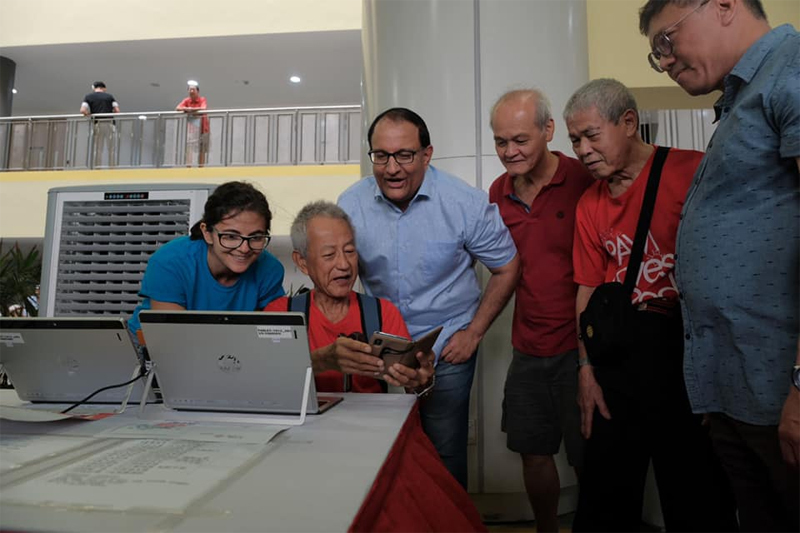 Citizens can reach out to their “Tech Connect Kakis” (Kaki means ‘buddy’ in Singlish; colloquial Singapore English) at any of the eight participating Community Centres during the pilot. These community centres will have a #ShowMeHow sign at their doors. The sixty dedicated staff, trained by the Infocomm Media Development Authority, will provide personalised assistance to citizens. Kakis can teach citizens how to send videos using their mobile devices, how to make a QR code payments, or even more rudimentarily, how to connect to the WiFi. Any and every query will be answered with quick responses. Should this segment of citizens want to explore and deepen their knowledge in areas such as coding, the Tech Connect Kakis will be able to recommend courses. For some of these courses, SkillsFuture credits can be used to offset the cost of the course. The Tech Connect pilot is expected to run for a period of one year. Following which, a review shall assess room for improvement. However, to do more, the Minister urged that everyone should be engaged.